A common investment objective of all of these gold-backed vehicles is to provide the security holder with exposure to the price of gold, not to actual physical gold. For example, the investment objective of SPDR Gold Trust shares is to “reflect the price of gold bullion”. The iShares Gold Trust “seeks to reflect generally the performance of the price of gold” The Source Gold P-ETC “aims to provide the performance of the spot gold price”. Xetra-Gold is an “opportunity to participate in the performance of the gold market”, in a product that has “no beneficial ownership to gold”. These products therefore do not provide their holders with direct ownership of gold. Although these products do hold physical gold that backs the respective securities, a primary concern is that they do not, and never will, allow the unit holders to obtain access to the underlying gold. The gold bars held in these vehicles are almost always large ‘variable weight’ gold bars, commonly called London Good Delivery bars, which weigh anywhere between 350 ounces and 430 ounces. For example, in ETFS Physical Gold (Ticker PHAU), “each individual security has an effective entitlement to gold”. For Source Physical Gold P-ETC, “each Gold P-ETC is a certificate which is secured by gold bullion”. For the SPDR Gold Trust, the “gold shares represent fractional, undivided interests in the Trust” which owns the underlying gold. But in none of these vehicles can the unit holder take delivery of the underlying physical gold that backs the shares or units. Xetra-Gold does offer a roundabout option to its holders to convert their securities into physical gold if they so choose. This route, however, does not even involve access to the specific underlying gold bars of the product. Instead, Xetra-Gold holds an additional pool of unallocated gold for conversion purposes. In the words of Xetra, “in order to facilitate the delivery of physical gold, the issuer holds a further limited amount of gold on an unallocated weight account with Umicore AG”. Umicore is a Belgian headquartered metals refiner and recycler. Another common trait of gold-backed ETFs and similar vehicles is that they all have quite complex structures, long prospectuses filled with numerous risk warnings, and lots of moving parts. Lots of moving parts also means lots of participating entities such as trustees, custodians, marketing agents, Authorised Participants (APs), issuers, and market-makers, which potentially also means significant counterparties risks. A retail investor would also generally need a brokerage account to hold and trade these ETFs and securities, which is another layer of counterparty risk. For example, the SPDR Gold Trust (GLD), marketed as a gold-backed ETF, is technically a grantor trust, established under the laws of New York State, and registered as a non-managed investment pool. It has a Trustee, a Sponsor, a Marketing Agent, and a Custodian, among other involved entities. Similarly, the iShares Gold Trust (IAU) is set up as a grantor trust. The Source Physical Gold P-ETC is an exchange traded certificate collateralised by gold bullion. ETF Securities Physical Gold securities are secured, undated, limited recourse debt securities that are listed on exchanges such as the London Stock Exchange. In the event of extreme financial market crisis, the complex structures of these products and the potentially complex counterparty risk scenarios that could arise should not be overlooked. The gold bar holdings underlying these collective investment pools are mostly stored in the London precious metals vaults of HSBC and JP Morgan, and in some cases, similar vaults in New York, Zürich and Frankfurt. 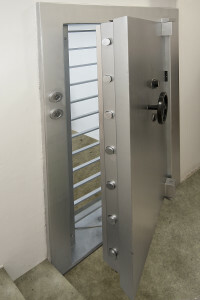 Without exception, retail holders of gold-backed ETF units / shares / certificates can never visit these custodian vaults. In the case of the London vaults of HSBC and JP Morgan, the vault locations aren’t even publicly disclosed, so even if you wanted to turn up at the vault, you wouldn’t know where to go. Some large institutional holders of the SPDR Gold Trust and the iShares Gold Trust have on occasion been allowed into these HSBC and JP Morgan vaults, but this simply demonstrates that institutional clients get preferential treatment from these Trusts relative to smaller investors. It goes without saying that since retail investors can’t ever visit the vaults in which ETF gold is stored, and since even institutional holders only get a quick vault ‘tour’, these ETF holders can never perform their own independent audits of the stored gold. This would not be practical anyway given that the ETF gold is a pool of undivided interests in the form of large Good Delivery bars, so there are no ear-marked gold bars individually identifiable per holder. 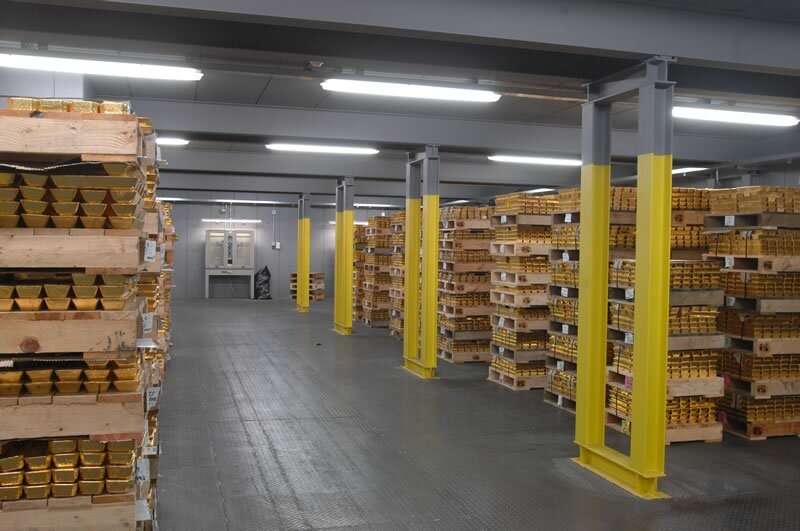 Contrast this with segregated and allocated private vault storage offered by a company such as BullionStar, where the storage customer is always welcome to go to the premises and view their own gold holdings in person. The costs of investing into gold-backed ETFs are not cheap. For example, the SPDR Gold Trust has an expense ratio of 0.40% per annum which covers fees incurred by the Trust to pay the multitude of entities involved in running the Trust, such as sponsor fees, marketing agent fees, trustee fees, custodian fees, listing fees, and legal fees. And these ETF’s do not even provide investors with ownership of physical segregated and allocated gold ownership. Contrast this to BullionStar’s storage costs. 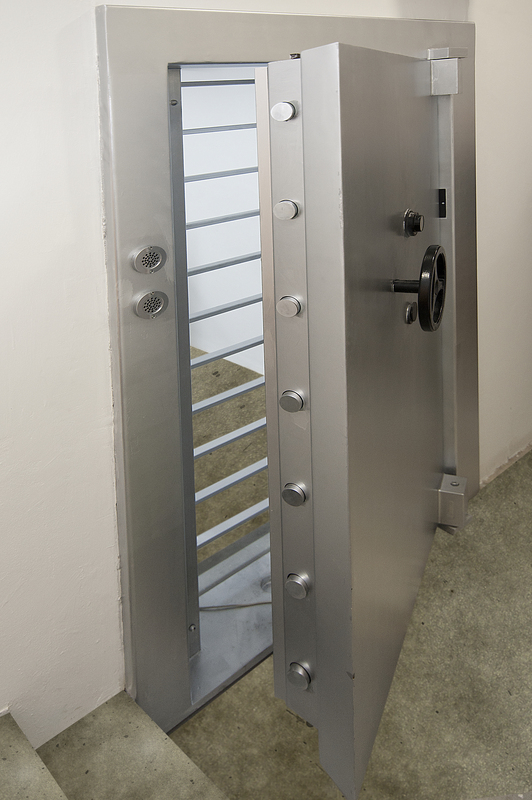 BullionStar operates a secure storage vault in Singapore which is integrated into its shop and showroom premises. BullionStar’s Bullion Savings Program (BSP) for gold is a fully backed physical precious metal allocation program that only costs 0.09% per annum. For example, when a customer buys 1 BSP Gram of gold, 1 gram of gold is allocated to the program from BullionStar’s stock inventory. 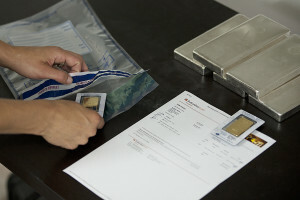 The BSP is available in gold, silver and platinum metals. For silver and platinum, the cost of the BSP is only 0.19% per annum. BSP Grams can be converted to physical bars when sufficient grams have been accumulated and conversion is free, i.e. there is no conversion cost. BullionStar BSP gold grams can be converted to 100 gram PAMP gold bars anytime there is a sufficient balance in the holder’s account. This conversion level is attainable and realistic and is far more practical than converting ETF units to 400 ounce gold bars which, although it may be theoretically possible, would be beyond the reach of all but the largest institutional ETF holders. Similar to BSP gold grams, BSP silver grams can be converted to 15 kilogram silver bars once a sufficient balance is reached, and platinum grams can be converted to 1 kilogram platinum bars. Vault storage in BullionStar’s secure storage vault is only 0.39% per annum for gold bullion products (gold bars and gold coins). This storage cost is for fully allocated, fully audited and fully insured vaulted gold. A custodian is an institution that holds securities or physical assets in safekeeping on behalf of the owner. Similarly, a sub-custodian is an institution that provides custody / safekeeping services on behalf of a custodian. A custody contract is formed between asset owner and the custodian. From the perspective of the asset owner, the sub-custodian can be viewed as an unrelated third-party. In addition to the secrecy surrounding the locations of the London precious metals vaults, an outdated and informal system of conventions is still used between custodians and sub-custodians in the London Gold Market. For example, the SPDR Gold Trust prospectus states that “the sub-custodians selected and available for use by the Custodian include: Bank of England, The Bank of Nova Scotia-ScotiaMocatta,…JPMorgan Chase Bank, and UBS AG”. 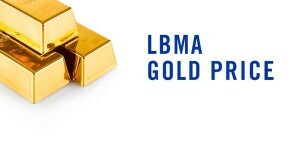 The LBMA here refers to the London Bullion Market Association. Therefore, in the London Gold Market, which is the world’s center for the storage of the gold that backs the large gold ETFs, there are no subcustodian agreements. This lack of sub-custodian agreements in the London Gold Market goes against how all other financial markets are run. In comparison, the world’s equity and bond markets employ very sophisticated and highly detailed custody and sub-custody agreements covering the roles and legal responsibilities of both parties, and their liabilities under various scenarios. Therefore, this lack of sub-custodian agreements in the London Gold Market is a real and somewhat underappreciated concern. Given the sheer scale of some of the gold-backed ETFs such as the SPDR Gold Trust and iShares Gold Trust, and the value of the gold held in these Trusts, one would assume that the insurance coverage of the gold held must be vast and in excess of the value of the gold held. For example, the SPDR Gold Trust, at the time of writing, held nearly US$ 34 billion worth of gold bars. “The Trust is not a beneficiary of any such insurance and does not have the ability to dictate the existence, nature or amount of coverage. Therefore, Shareholders cannot be assured that the Custodian will maintain adequate insurance or any insurance with respect to the gold held by the Custodian on behalf of the Trust. If the gold held by the custodian on behalf of the Trust becomes lost, or gets stolen or confiscated, the Trusts shareholders would have to bear the loss. Physical gold has been held as a form of savings and as a store of value for thousands of years. Gold-backed ETFs and associated products have only existed for the last 15 years or so. It’s not clear how gold-backed ETFs and their custodians and trustees would perform in a fully fledged systemic financial crisis. In contrast, physical gold has a long and proven history of acting as a reliable safe-haven status during financial crises. Arguably, the default of a custodian entity is a real risk when holding a gold-backed ETF, and the ETF price should be discounted by quantifying the cost of this risk using a proxy such as the price of purchasing Credit Default Swap (CDS) insurance on the debt securities of a custodian bank. In gold-backed ETFs, such as GLD, that are structured as publicly traded Trusts, the unit holders are actually shareholders of the Trust. These trusts are governed by Trust Indentures which are legal documents laying out the roles and responsibilities of the Trustee, Sponsor, Custodian, and Marketing Agent. In some scenarios, such as fee arrangement changes, the wording of the indentures cannot be amended without the approval of more than 50% of shareholders. Since the unit holders of the ETFs are actually the shareholders of the Trust, the unit holders have voting rights on the indenture wording change, and can be contacted by proxy voting agents operating on behalf of the Trust. This was starkly illustrated over 2014 / 2015 when the SPDR Gold Trust chose to launch a proxy solicitation campaign in an attempt to change the fee structure of the Trust to make it more advantageous to the Sponsor, which is a subsidiary of the World Gold Council. 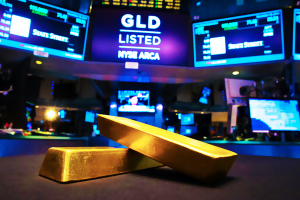 During the proxy campaign, GLD shareholders were bombarded for months on end by disruptive phone calls from the proxy voting services Broadridge and D.F. King who were attempting to gather the required number of shareholder votes. Many small GLD shareholders who thought they were buying physical gold when they bought SPDR Gold Trust units, were not impressed when they realised that they were actually shareholders on the receiving end of constant phone calls soliciting their vote and even phone calls trying to convince them to update their already cast vote. This type of disruptive fiasco would obviously not happen when owning segregated physical gold bars or gold coins. ETFs and similar investment vehicles are usually valued based on their Net Asset Value (NAV). The NAV is the value of assets, less the value of liabilities, divided by the number of shares outstanding. 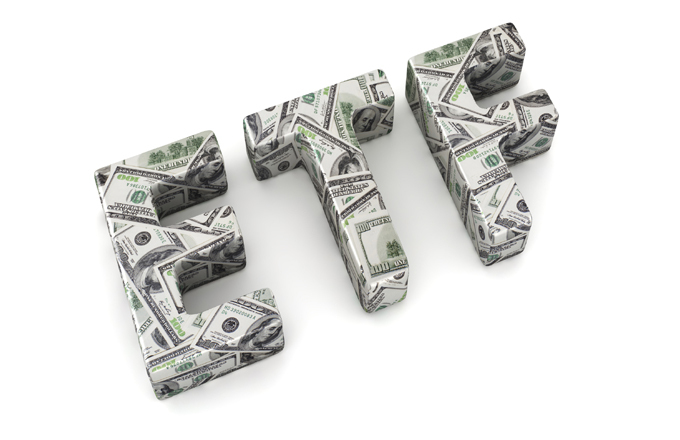 ETFs usually trade at prices in and around the NAV but they can trade at either a discount or a premium to the NAV. 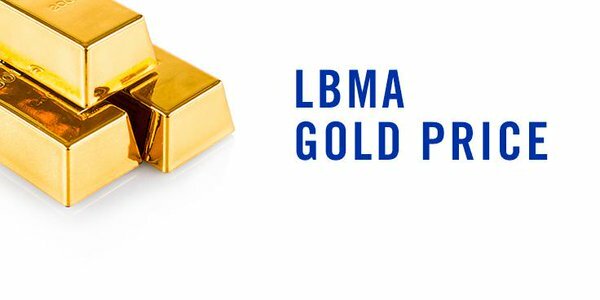 In the case of the large gold-backed ETFs, the NAV is calculated based on the LBMA Gold Price benchmark which is a price derived from a daily auction of unallocated gold in London where the only direct participants are a small group of LBMA bullion banks. In fact, the rules of access to the auction prevent any entity except LBMA bullion bank members from being direct participants in this auction. Since March 2015, this auction is the successor to the scandal ridden London Gold Fix auction, and is essentially the same process, run by some of the same banks. The new LBMA auction will not even reveal who the auction chairman is, so the entire process is still not transparent. As such, the NAVs of these ETFs are formed by a gold price which is central to the London Gold Market’s system of unallocated gold transfers, where there is zero trade reporting, zero position reporting, an opaque system of clearing and vaulting, and where vastly more gold is traded than there is physical gold backing. In a scenario under which the paper price of gold diverged from the physical price, the fact that these ETFs are valued based on the LBMA gold price and not on physically settled gold transactions has potential implications for the trading price of these ETFs, and the discounts / premiums to their NAVs. Investment flows into gold-backed ETFs tend to channel gold demand that might otherwise have gone into physical gold into products whose supply is met by tapping the pool of LBMA bank controlled gold inventories and even the pool of central bank gold lending. The actual mechanism for adding gold bars to the large London-based gold ETFs requires the custodians to allocate gold from the unallocated metal credit balances of the Authorised Participants (APs). These APs are mostly bullion banks. The unallocated metal balances of the bullion banks are essentially a general pool of bullion bank unallocated gold credits that have been created via the fractional-reserve gold banking system. There is very little transparency around where the additions to the large London vaulted gold ETFs come from. The physical gold which the custodians HSBC and JP Morgan source is not provided by the APs and bullion banks, by definition because the APs and bullion banks only transfer unallocated gold to the custodians. More importantly, the APs and bullion banks don’t normally maintain large physical gold inventories. The custodians may even be directly borrowing from central banks which store their gold at the Bank of England, as a recent case of SPDR Gold Trust gold held in the sub-custody of the Bank of England during Q1 2016 implied. 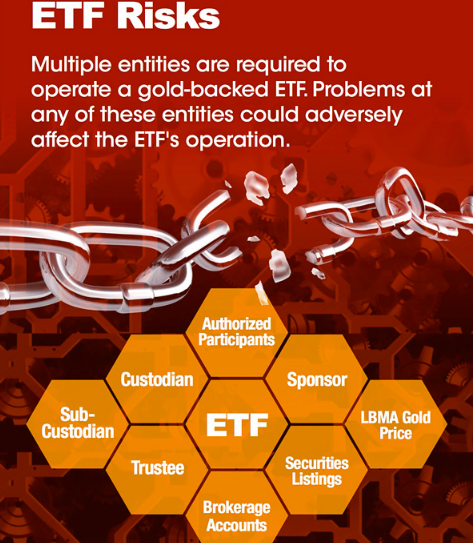 The investment flows into ETFs therefore support and prop up a) the LBMA unallocated gold accounting system, b) the opaque London gold clearing and vaulting system, and c) the bullion banks that are at the heart of the fractional reserve unallocated gold system. The World Gold Council is a member-owned non-for-profit organisation that was established to promote the demand for physical gold. The Council’s members currently comprise 19 gold mining companies from around the world. Another concern specifically regarding the SPDR Gold Trust is that the majority of the fees earned by the Trust flow to the World Gold Council (WGC) due to the sponsor of the Trust being a fully owned subsidiary of the World Gold Council. In fact, a large majority of WGC’s revenue are derived from fees from the SPDR Gold Trust. The WGC also receives recurring income each year from ETF Securities in connection with a historic transaction it previously entered into with this ETF provider. Therefore, the World Gold Council has a strong and vested interested in marketing and promoting investments into gold-backed ETFs, and less incentive in promoting direct ownership of segregated and allocated gold. Additionally, since the SPDR Gold Trust leaves it to the custodian HSBC to allocate physical gold to the Trust, the SPDR Gold Trust is also reinforcing the LBMA fractionally reserved and unallocated gold accounting system, as well as the opaque London gold clearing and vaulting system. Therefore, there is a potential conflict of interest in that retail demand for the GLD does not necessarily increase the demand for the physical gold mined by WGC’s members. For those who are not impressed with the World Gold Council’s track record in promoting the physical gold industry, these are important philosophical considerations. When the SPDR Gold Trust was launched in 2004 (originally called StreetTRACKS Gold Shares when it launched in November 2004), it was structured so that each GLD unit was worth 1/10th of an ounce of gold. This is also called the Trust’s ‘Initial Pricing’. At the time of writing, November 2016 (12 years after launch), the NAV per GLD share expressed in gold ounces had declined to 0.095338 ounces per share. Therefore, since launch in November 2004, the value of each GLD share has declined by 0.004662 ounces of gold due to the fact that the Trust’s expenses are paid by continually selling a portion of the Trust’s gold. Therefore for a holder of GLD since launch date, that holder has lost 4.662% of the gold that was initially backing each share. There is another metric displayed on the GLD website which also illustrates this point, and its referred to as “Monthly Gold Sales per Share”. As an example, at the time of writing (November 2016), this figure was stated as being US$0.04133. Annualizing this cost into “Annual Gold Sales per Share” brings it to US$ 0.49596. Expressing the annual gold sales per share in terms of the GLD NAV (which was US$115.454 at the time), means that the annual gold sales equate to 0.4296% of the Trust’s NAV, which is about the same as the Trust’s estimated expenses of 0.40% per year.